Joint ventures have become a common vehicle for companies to create strategic alliances with partners that have complementary capabilities and resources, fostering opportunities to exploit distribution channels, technology, or finance in ways not available to the sole partners. Simply put, in a joint venture, two or more parent companies agree to pool defined capital, technology, human resources, risks, and rewards in the formation of a distinct entity under shared control. The complexities of such an arrangement are magnified when the project embraces more than one jurisdiction. 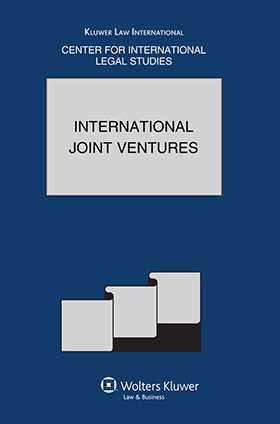 In this special issue of the Comparative Law Yearbook of International Business, practitioners who have specialized in domestic and cross border joint venture formations report on their respective jurisdictions as well as particular cross border issues. The volume provides national reports on Brazil, Bulgaria, Chile, China, Cyprus, the Czech Republic, Greece, India, Italy, Japan, Kuwait, Lebanon, The Philippines, Romania, Trinidad & Tobago, Turkey, and Vietnam. European competition law relative to joint ventures, taxation issues in The Netherlands, and governing law also are treated.